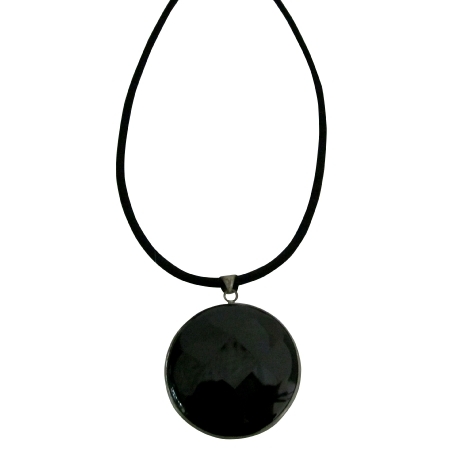 An exquisite choker which is consisting of Agate Stone Pendant Round Pendant Framed in rhodium pendant with Black chord choker. The most focal point of this Necklace is Beautiful agate Stone framed into round Round Shaped Pendant this is very popular gift for someone you love or special. Good shinning surface quality.